Did you see the 2013 Academy Award winning movie, Her? In case you missed it, the protagonist of the movie falls in love with the software on his phone (a souped up version of Siri, if you will). I found myself thinking about the movie long after I left the theater, wondering: is this where we are headed? Ten years ago, if you would have asked people what technology would be like in 2015, I’m sure few would have been able to accurately predict our very newfound dependency on our gadgets and apps. Instagram has created a culture where appreciating beauty with our own eyes is no longer enough; we have to photograph our experiences to validate that they are worthy. Snapchat has us recording every moment; we need evidence of our night’s adventures. Twitter has us devising ways to condense the magnitude of our lives into bite-sized chunks. Tinder users are swiping left and right, looking for potential dates, but don’t dare approach the people around them. Speaking of relationships: how many times have you heard someone talk about their “Facebook official” relationship status? And I haven’t even mentioned LinkedIn, Pinterest or Flickr. Sigh. Unless we decide it’s time to redefine how we live life on this beautiful world. Do we want to spend half of our waking life experiencing reality through a screen? To reduce the wonder, beauty, sadness and enormity of our human experience on earth to a digital footprint? Connecting with other people makes us more compassionate and empathetic. It wasn’t more than a couple generations ago that people would stop at one another’s home unannounced, now we seem to do everything we can to avoid real conversation. 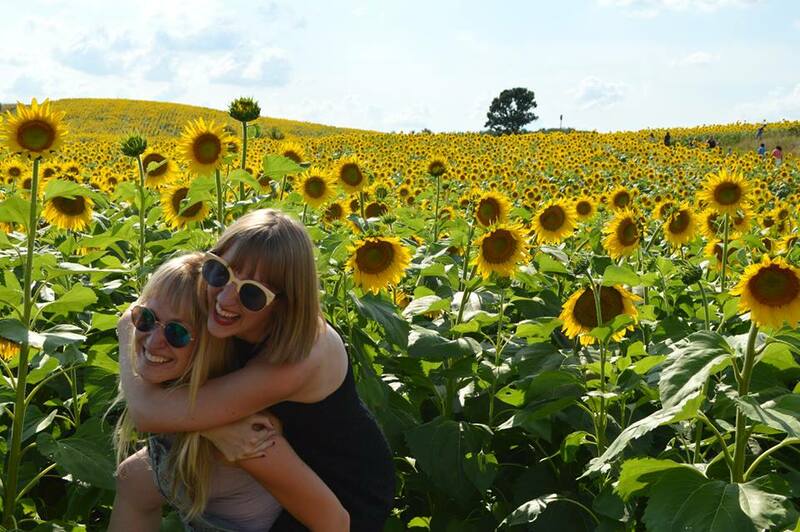 We crave face-to-face interaction, but so readily run away from it. What can we do to change that? It’s simple: disconnect to reconnect. The next time you’re tempted to write on a friend’s wall or text them, stop. Make relationships that count, last. Don’t rely on technology to do this for you. Be with these people in the present moment. When you’re together - and what a great thing to be together, in our busy world! - get outside, laugh, hug, smile, cry, be creative. Whatever you do, just put your phone away. It doesn’t stop with your friends. Make eye contact with strangers passing you on the street instead of looking down at your phone. Chat with the person next to you on the bus. Smile at those with you in the elevator. Humans are incredible. It’s time we start connecting with them - in real life! I don’t know about you, but I want my kids falling in love with life in the present moment - and not worrying about whether or not that moment is perfectly curated for others to consume. 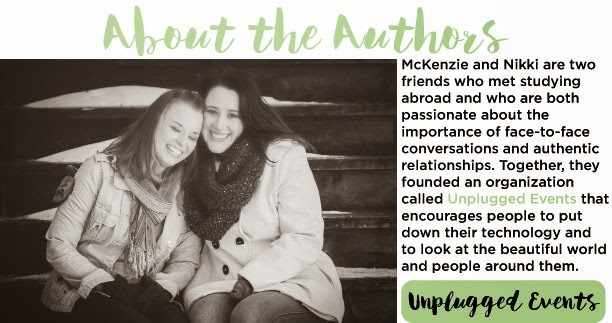 Read more about McKenzie and Nikki's ideas in our interview with them in our latest T-Time with K. We discuss the wonderful importance of technology in our world, but also the balance of technology.